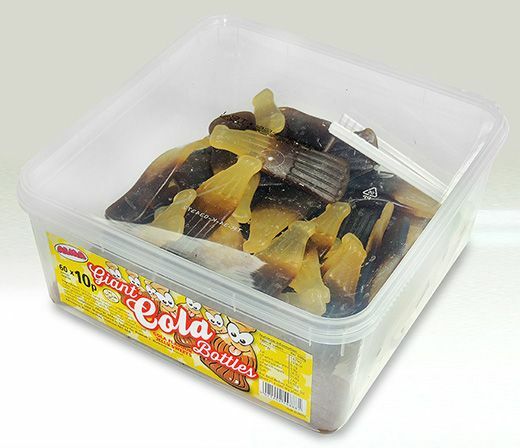 The famous GIANT COLA bottles the big brother of the traditional stanard COLA BOTTLE gummy texture that we all know and love with that unique COLA flavour that has been immortalised by one of the most famous global and iconic companies ever to grace our supemarket shelves. Just to hold one of these products is to feel the historic traditions accorded to this confection the amroma of colawafts up towards your nostrils before you taste thst first bite and after that your taken. The only problem how many do you order?